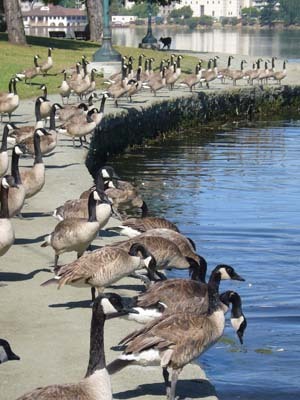 The year-round resident population is only about 140 geese, and these are not a big problem. The main conflicts arise in the early summer months, when migrant geese arrive seeking a safe place to rest as they molt and re-grow their flight feathers. The population can soar to nearly 2,000 geese during this period. The population numbers have been fairly steady since at least 2001. As an official State wildlife refuge, available techniques for goose management are limited.